With almost 30 years of experience in painting residential and commercial buildings, Andrew & Mason are your one-stop solution if you need a paint job done around your home or business. Whether it’s an interior painting or exterior painting project you want, Andrew & Mason can guide you through it all the way. The company has bases in Kerikeri, Whangarei and Auckland and works closely with specialists such as colour consultants to ensure you pick the perfect shade that matches your needs and blends in well with the rest of the environment. They also offer cleaning services and can touch up existing paint jobs which will extend the life of your paint for another few years. If your facade or walls need to be repaired before painting can commence, Andrew & Mason work alongside a builder that brings whatever surface is to be painted back into shape. A thorough clean and good preparation are the keys to quality. This way the paint will go on smoothly and evenly and stay on longer. Andrew & Mason also cover those trickier jobs such as painting roofs and swimming pools. 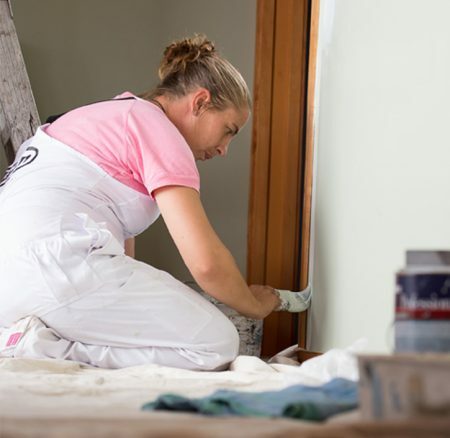 Their team of qualified and enthusiastic painters works efficiently and gets the job done on time. Using premium quality paints made by Dulux and Resene, you can rest assured that your paint project is finished to the highest standards and keeps you happy for years to come. If you do prefer different products, please talk to the team beforehand. They are happy to accommodate your needs. If you’re looking for a quality painter in Northland or Auckland, give Andrew & Mason a call on 09 415 8797 to receive a free, no-obligation quote today.